Generally, vocalists are very careful about the positioning of their feet, knees, abdomen, shoulders, or so. A correct positioning is really important for a professional singer. Now, if you are on the path of professional singing, then you must learn proper singing posture. It is not about the position only, but has the capability of affecting that you do in singing. All exercises, be it breathing, speaking, walking, or singing, they are dependent on the posture that you have adopted. For instance, imagine yourself walking placing a book on your head, and you would know how balanced it is. It will make you more confident. A correct singing posture makes an excellent choice as it helps you breathe comfortably. Posture always plays a critical role in everything, be it speaking, acting or singing. It is essential for singers to have a great singing posture. Now the immediate question that strikes the mind of the people is why this is so? The answer to this is, it is not at all possible for lungs to inflate completely if you have a compressed rib cage. It would be better if you considered professional singing posture as one of the most important aspects of singing. Practicing the correct way of singing is essential during stage performances. During singing sessions, posture adjustments should be taken as an automatic movement in front of the public. However, many people are encountering some difficulties in having the right posture in major body systems. Poor posture leads to adverse effects that go beyond the common physiological symptom. 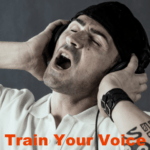 If you are a vocalist, you should be aware that singing posture has a fundamental effect on the tone and quality of your voice. It is considered as one of the great foundations in professional singing that needs some efforts to correct if you’re having troubles with it. Sometimes it may be difficult to focus your attention on attaining the correct posture because you have to practice it separately from your routine vocal practices. But why is good posture essential to produce a high-quality singing voice? A singing posture that is proper has manifold benefits. It helps in reducing muscle strain, muscle aches, back pain, and other related muscle problems. It can be used to keep the joints and bones fit. It also reduces the stress of the spine. It conserves energy and as a result you will not get exhausted faster. 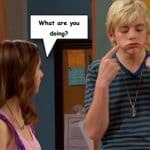 It affects not only your singing, but also everything that you generally do. It will make you happier and healthier. You become more confidence. Even people try to approach you. It offers a great help in improving your job status as well. You feel talking to everyone, be at personal or professional terms more easily. It plays a vital role in your day to day life. Of course, a correct singing posture improves your stage performance. So, it really matters not what your life is all about, a right posture can always be beneficial in long run. Lack of self-confidence – You should always feel confident and think positively so that your body will be adaptable to your thoughts. Your shoulder will slump if you lack of confidence. Being overweight – When you’re heavyweight, it can crack you as a professional singer. Nobody wants to watch a singer having bellies. Very bad postural habits – such as staying in front of a computer for so long. Put your chin parallel to the floor. See to it that you’re breathing through your stomach; not through your chest. You should practice this exercise by breathing naturally and placing your hand at your stomach. You should keep your stomach moving up and down in a slow manner. Now, put your hands beside your body without brandishing around using your legs, hands, or any part of your body. Open your knees and keep them relaxed and loose, but don’t squat. Don’t put your shoulders high. Just put them down and maintain your chest in a high level. Put your feet apart so as to be able to balance the weight of your body slightly in a forward manner. Once you feel any pain or tension in any parts of your muscle, it probably means that you may be standing in an incorrect way. Remember not to sing if you possess a big wound or you’re having some cracked muscles. You should keep your neck in a loose position, and have it relaxed. Do the same thing with the muscles at your back. Your movements should be graceful just like when you’re dancing. However if you hate dancing, then, you can opt to join a self-defense sport like a karate club. Here, you are assured that they can be of great help in exercising fluent movement. In addition to that, belly breathing makes a good option to improve singing posture. On the other hand it refers to an abdomen swelling, when the air is inhaled. A good singing posture is the ability to comfortably hold your body in a given space. It is also done in order to be able to stand, sit or lay down without facing any kind of muscle strain. There are many ways to do this. Book balancing is one such way that makes an easy option to it. Many people use this book balancing to get a correct singing posture. • Take any book and place it on your head. • Try to keep the balance. • Now try to walk with it. • Stand in front of the mirror with it. • Observe the positioning of your body while balancing the book on the head. • Then, practice the same without the book. On the other hand, in head positioning technique, you should keep your head in a straight position allowing your chin to be parallel to the floor in singing. Once you sing with your head in a tilting manner going downward or upward, there will be an immediate change in the sound coming from your mouth. Therefore, the sound that you produce becomes powerful and natural when your chin and head are in a parallel position to the ground. 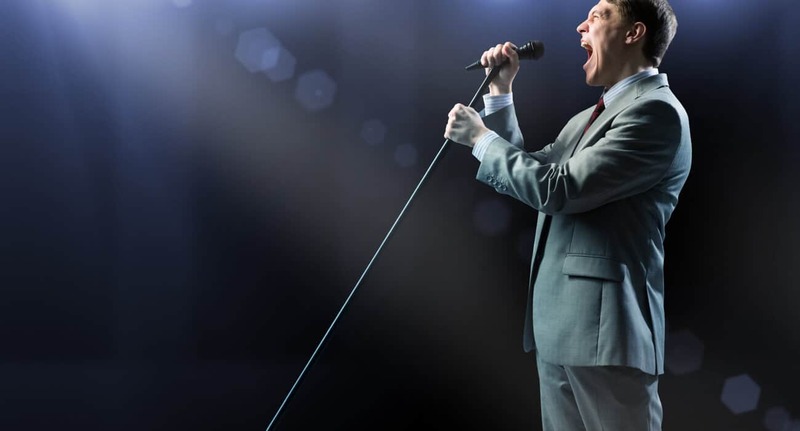 If you’re singing with the wrong posture, your chest cavity becomes compressed that puts some pressures on your diaphragm which hinders it from expanding. 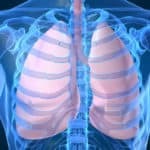 If your chest cavity cannot expand sufficiently, it holds your breath to be retained in the upper chest cavity that leads to a shallow breath. This limits the intake of high amount of breath support for a vocalist and restricts the projection of the vocalist. When your posture is misaligned in singing, your voice moves in a downward direction that causes the sound waves to hit the floor directly, where they are distorted and refracted. For opera singers, you will notice that when they are performing, their chests are pumped out while keeping their shoulders in a backward position. The reason for this is to attain good support for breathing correctly with the diaphragm. You will observe that in the process of inhaling, your lungs are expanding in a downward direction instead of outward. This is because the diaphragm which is located in the lower region is pressed by the lungs making it move downward. 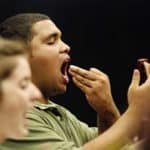 This is also the reason why your stomach inflates in outward direction whenever you inhale which is regarded as the correct breathing technique in achieving a good posture while singing. You may be asking now, why is it that posture has a significant effect on everything about the body? When you try to maintain a good posture, it’s not only your singing which is significantly affected but also essential parts of your body.